That’s a Spice Girls reference, in case you didn’t know. But it’s true. My friends are awesome. In the past two weeks I have been able to hang out with my three different circles of friends. It was pretty grand. Let me tell you about my three different crowds. First, there’s my friends at college. Obviously I get to see them all the time, but I’ve seen them four times in the past two weeks! And everyone got to come out to our WND (Wednesday Night Dinner) this past Wednesday! That rarely happens, so it was great. On Easter, several of us had a Beatles Rock Band night. Then there was that week’s WND when we Skyped with my best friend in the whole world, Melanee. Then there was WND where every single one of us were there, besides Melanee, of course, since she switched schools. Then Friday, we did Relay for Life! I’ll have a whole post dedicated to that later. Next, there’s my Carmike crew from work. 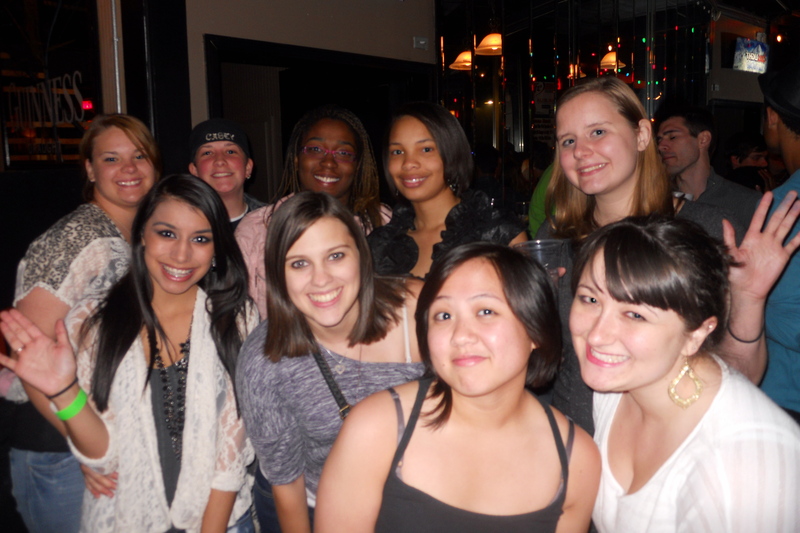 It was Alicia’le’s birthday last week, so we went out! It was great. I don’t work there any more as of exactly a week ago, but I still gotta hang out with them as much as possible! I made lots of great friends working there. I’ll definitely have to stay in touch. Our night out was complicated at first, but it ended with some 90’s music at the bar, and that was fantastic (that would be what inspired this post). I forget how much I love 90’s pop music until I hear it outside of my own vehicle, and I start flipping out singing at the top of my lungs. Don’t judge. Lastly, there’s my friends from high school. I have two really great friends, Taylor and Vivi, who go to college two and half hours away from mine, so I don’t get to see them but a few times a year. Not this weekend, but last, I made a trip up to see them. It was so fun. They go to my college’s rival, and I went to their scrimmage game. Couldn’t really get into that, haha. But I was a good sport the whole time! I saw another one of my guy friends up there as well as many of Tay’s and Viv’s friends up there. I wish I could go up there every weekend! I definitely do not see them enough. So, the point this post is to say that I love my friends, and God has blessed me with some pretty great people. Now, this was just about my friends. My family and my boyfriend Chris are amazing, too, but I tell them that all the time. I don’t tell my friends enough how much I appreciate them. I love you guys, thanks for everything each of you do for me! 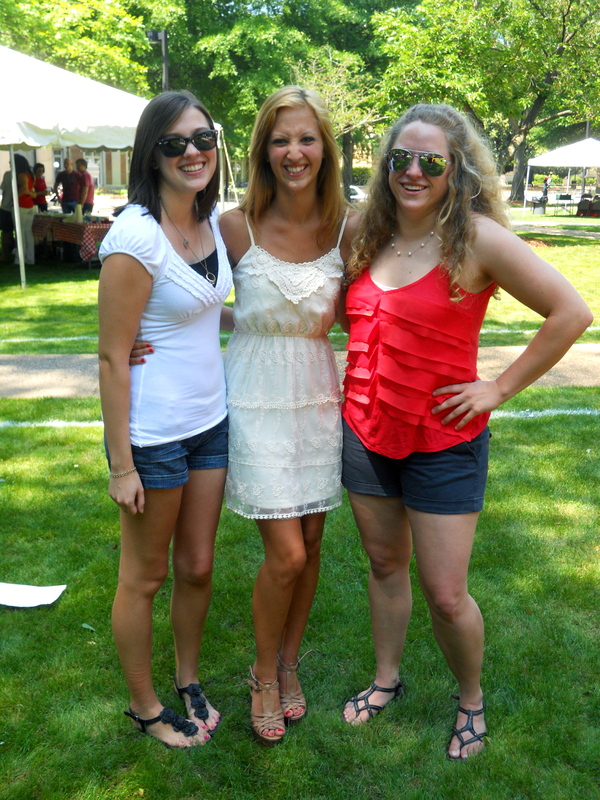 I am so thankful for the great friendships that I have and have kept for so long. This isn't from the past two weeks, but it's the only picture that I have with all eight of us in it! From left to right: Katelyn, Me (standing on the table, like always), Alex, Chris, Courtney, Justin, Zach, and Ian! 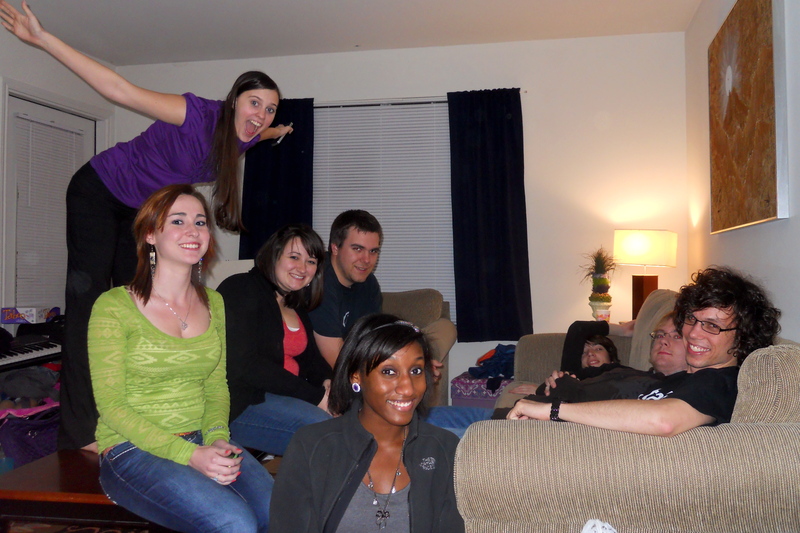 Here is the few of us from Carmike who went out for Alicia's birthday! It's not quite everyone, but it's a lot of us! Viv and Tay! Miss them WAY too much!